Make your mark with this Silver Men's ring that features a large plain oval accent in the centre for a subtle, yet definitive sense of style. 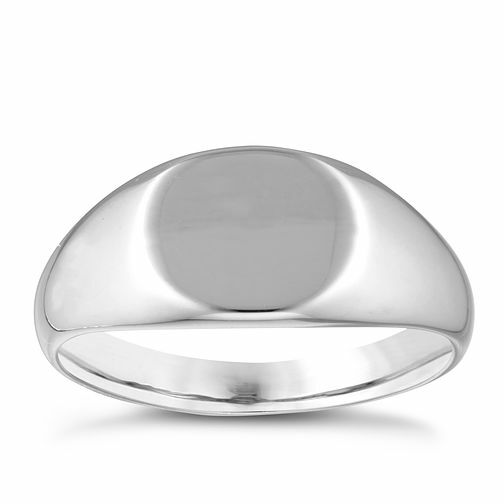 Sterling Silver Men's Plain Oval Ring is rated 4.0 out of 5 by 1. Rated 4 out of 5 by Anonymous from A classic A classic, simple ring. Great for everyday. Not chunky or heavy.